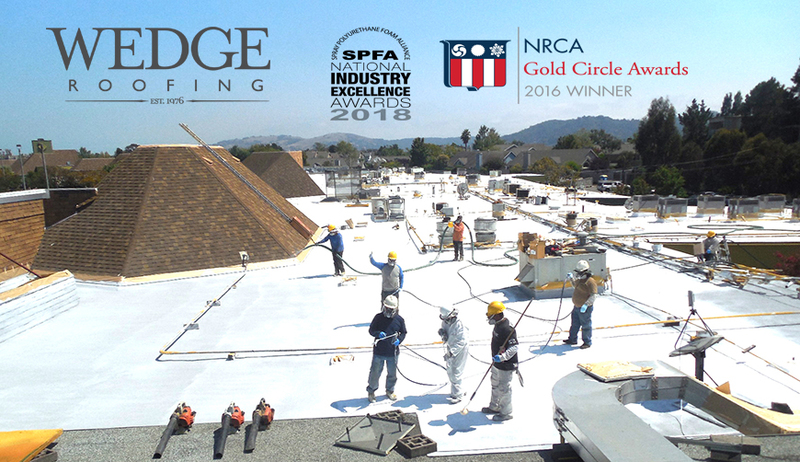 As a Nationally Award-Winning San Francisco Bay Area Commercial Roofing Contractor and California-Certified Public Works Contractor, Wedge Roofing offers forty-three years of commercial roofing expertise in providing high-quality roofing services at a competitive price, delivered on time and without disruption to your business operations, tenants, or clients. Our team, headed by our commercial roofing project manager ensure that every aspect of your roofing project is organized, executed, and completed as promised to the highest quality standards. All work will be finished on schedule, in budget, and compliant with building codes and regulations. We execute your roofing project with the least disturbance to your business. Working closely with your facility management team in pre-job planning, we will initiate proactive solutions and scheduling to mitigate disruption during the roof construction. On the job, our commercial project manager establishes that every aspect of the work is organized and executed in an efficient manner with an emphasis on safety, ensuring work areas are kept confined and clean. Non-work areas, including; driveways, walkways and landscaping are covered and protected during construction. Wedge Roofing’s crews will treat our client’s property with the utmost of care and respect. Our commercial roofing clients include Bay Area auto dealerships, hotels, churches, hospitals, health care facilities, retail centers, restaurants, shopping malls, wineries, office complexes, condominiums, apartments, high-rise buildings, banks, industrial buildings, warehouses, manufacturing facilities, food manufacturing facilities, schools, universities, government buildings and more in Marin County, Sonoma County, San Francisco and Napa. Please visit our commercial roofing portfolio, industrial roofing portfolio and public works roofing page to see our completed commercial roofing projects. The expanded use of commercial roofs as a platform for rooftop energy systems and equipment increases the performance responsibility of the roof system. We are experts in techniques for the installation of rooftop equipment including Photovoltaic Solar Systems that do not compromise the integrity of the roof and the manufacturer’s warranty. Roofing membranes are frequently damaged by foot traffic leading to premature wear or failure. Installation of a roof walkway system protects your roofing investment against this damage while providing a safe, non-skid walkway for rooftop traffic. I would like to compliment your company on the high level of quality workmanship you have achieved at the River Glen Townhouses re-roofing project."